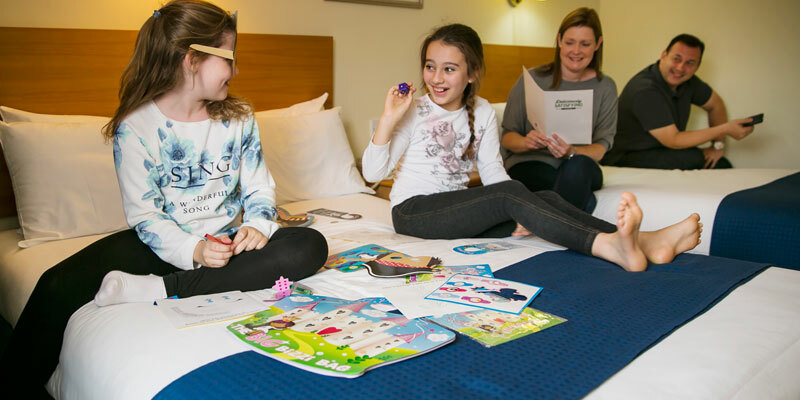 Enjoy a comfortable stay and a dip in the swimming pool at the modern Holiday Inn Sutton after an action-packed day at Chessington World of Adventures. 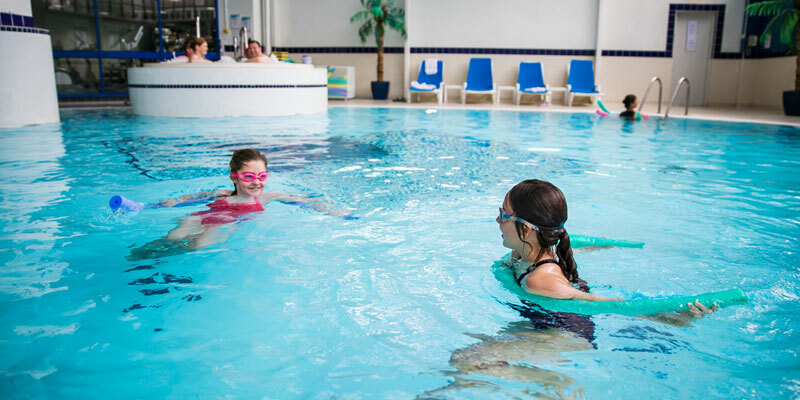 The hotel is just 8 miles from the park and a short train ride away from London, so your family have plenty of options when it comes to exploring. 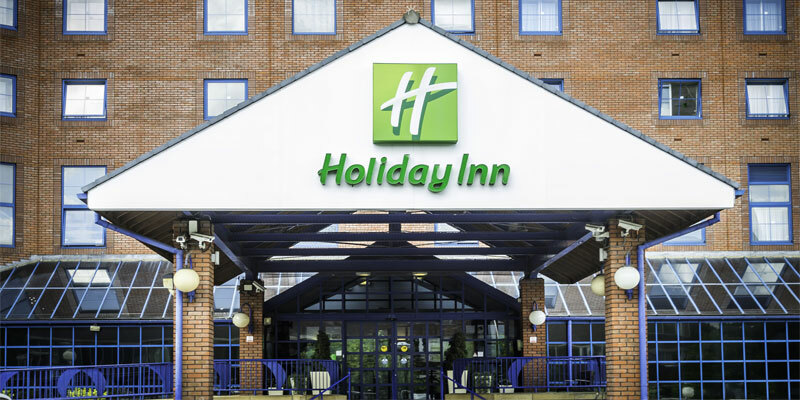 Whether it's great kids facilities, brilliant dining offers or excellent transport links you're after, the Holiday Inn Sutton is ideal. There is a luggage drop service available behind reception. There is also a children's pool available, where kids must be supervised at all times. There is on site parking available to guests at a cost of £8 for 24 hours. This hotel hosts Easter Egg hunts for your little ones during the Easter period, as well as providing activity packs and milk and cookies upon arrival. 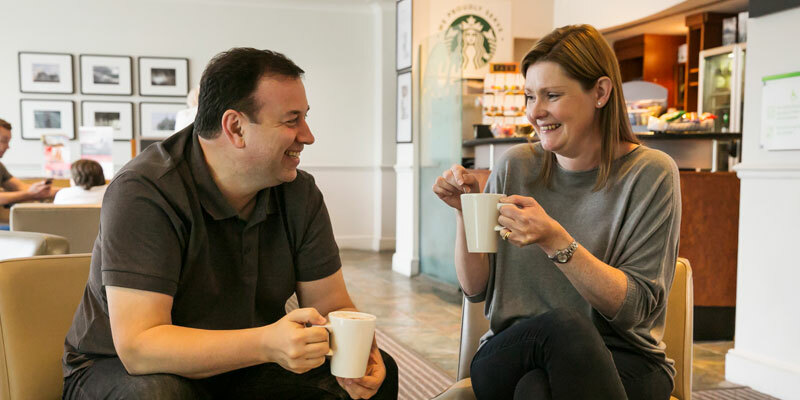 Free Wifi is available to IHG Rewards club card holders. Otherwise, it is available for £5 per hour or £16 for 24 hours. The hotel is fully accessible, and has 2 accessible rooms available. 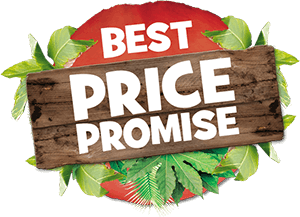 You can also call the hotel directly on 0208 234 1128. This hotel offers your choice of a Full English or Continental Breakfast as part of your package. 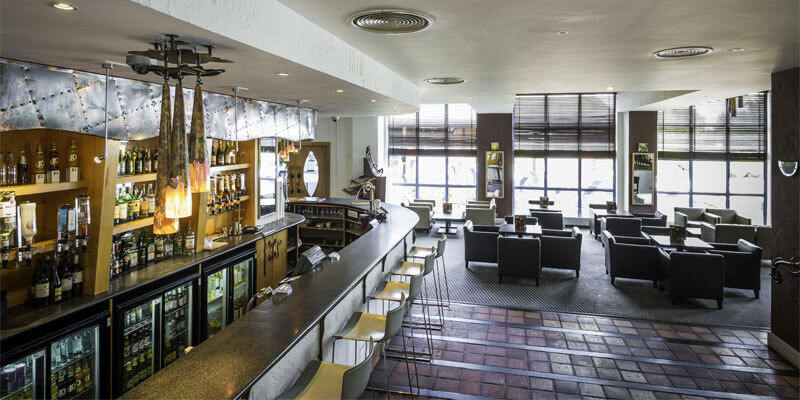 The Junction Restaurant is within the hotel, offering a tasty selection for breakfast and dinner daily. Snacks and drinks are available from the lounge for lunch. 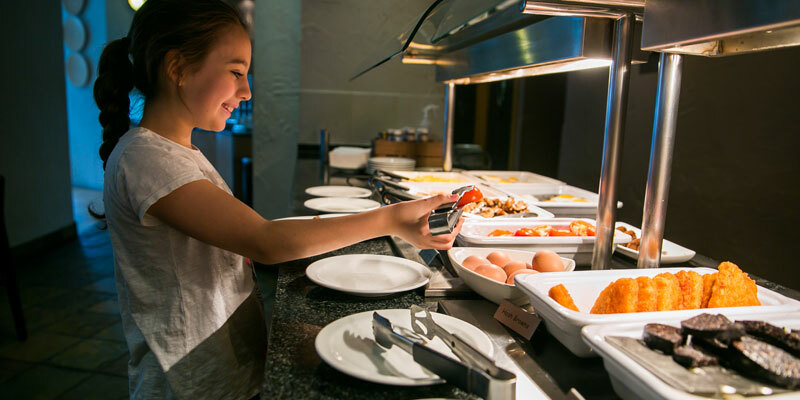 The hotel provides 24 hour room service with a £3 tray charge on all items. 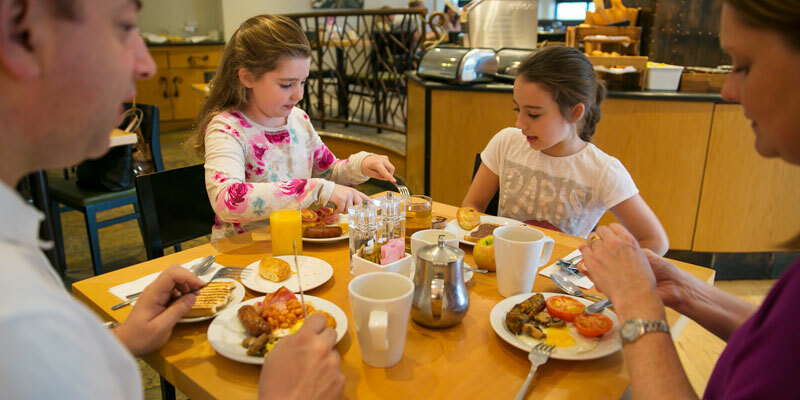 At the Holiday Inn Sutton, children under 13 eat for free when dining with one paying adult. One double bed with 1 sofa bed, to sleep 2 adults and one child. 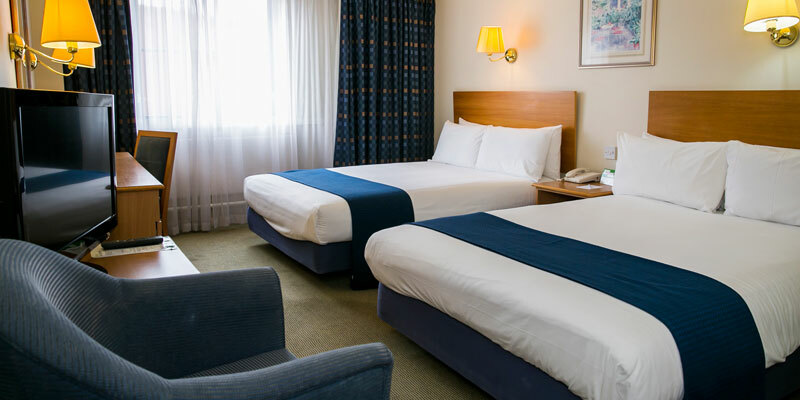 Quad rooms consist of either two double beds or one double bed with 1 sofa bed (only suitable for children under 10yrs). From the M25: Exit at junction 8 and follow the A217 to Belmont Roundabout and take the B2230 to Sutton. Continue past the Railway Station and follow the one way system in the right hand lane. Turn right at the traffic lights, then immediately left and left again into Gibson Road. 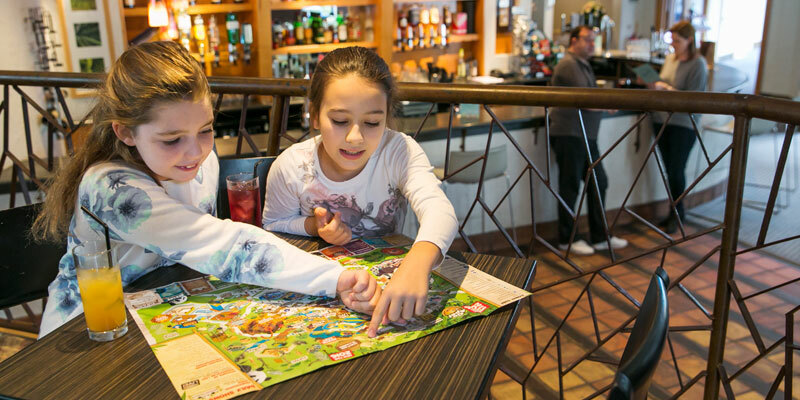 The hotel is situated 8 miles away from Chessington World of Adventures, and is approximately a 10 minute walk away from Sutton train station.